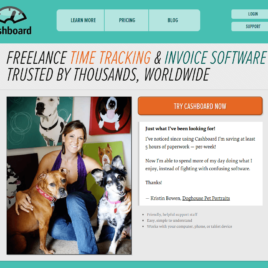 Easy to use tax software approved by the CRA. Simple returns are free and standard returns are only $19.99/return. IT IS A RIP OFF! Do not buy it! I made the mistake after reading all the positive reviews on the us site. 1. I bought the online version for 80 + additional fees for my spouse and expert advice (total $135 cad). NOWHERE does it give the number to contact the “experts”. after talking to the normal csr she told me to contact the expert advice department after all I paid for that service. When I told her I haven’t a clue of what she was talking about as the program doesn’t clearly state that i can call them, or any number for them. 2. i tried to print out my forms and receipts that i spent hours inputting only to find out the hard way that i can not get a copy of my forms or receipts… the csr contacted her support group about this and was told it isn’t available at all. However, should rev canada decide to audit me, to contact the expert advice department, as they will be able to assist me .. she also told me to call them directly as I paid for that service, told her i didn’t know what she was talking about. Nowhere in the online version does it give a phone number to contact them (or what it specifically offers). She gave me their number (then emailed me the same expert department number), I called the number several times only to have it ring off the hook then be disconnected. For the price you pay it isn’t worth it. 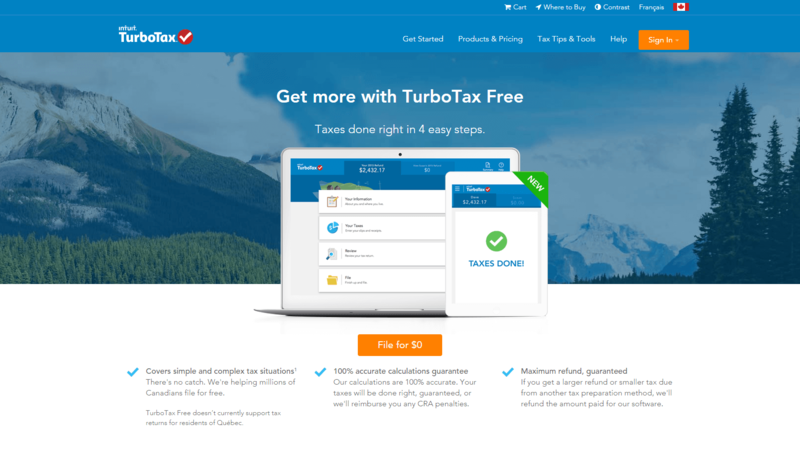 I strongly believe that i was ripped off by turbotax and their main company intuit. 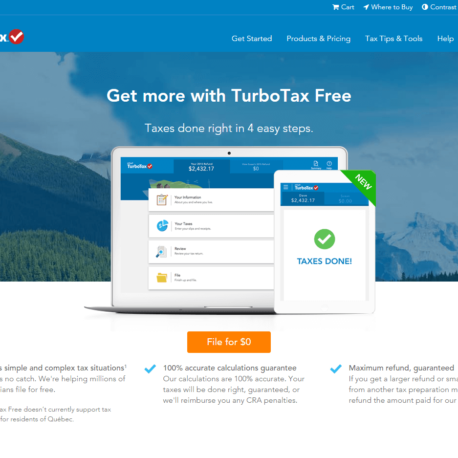 Go with any other tax software rather than turbotax. Their program only sends rev canada a basic summary, and you are not able to get a print out of your forms.. the online version doesn’t tell you anywhere that the forms are not accessible for print out at any point. no where on the program does it give you a clear definition of what the “expert” review offers, nor does it provide you at any time the phone number for that department. If I was able to I would get my money back and buy some other program that allows me to print out the forms and my receipts/expenses. To recap. 1 Do not buy this program unless you have a very basic tax return and have absolutely no concerns of being audited at all. 3. The program doesn’t state clearly what the “expert review service” provides you with. that you can hire a tax service for about the same amount as this program without your having to do anything. If I could I would demand a full refund but their programs don’t offer you a refund after you have used it. Thanks for your review. I have not had those problems. In the past I have printed out my return and mailed it in, and I believe that is still an option, but I have not used that option for many years. The electronic sumbitting is so easy now it seems a waste of paper to have to print them out. I still make sure I download a PDF copy to print out if I need it later on, and I have not had any problem printing those out.